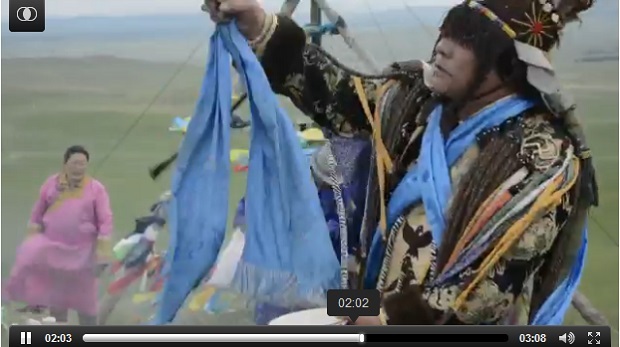 These screen shots are taken from a short video entitled "A Mongolian shaman in atheist China" that can be found on the website of The Guardian. 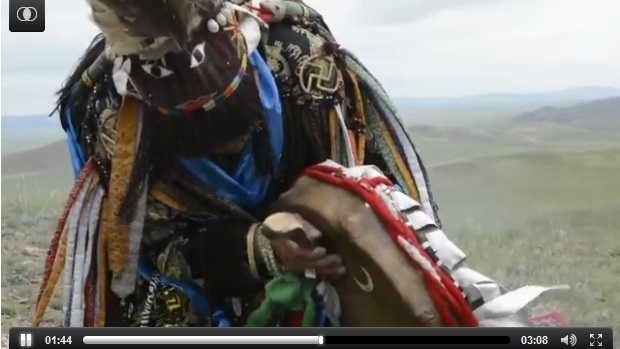 The video reports on a shaman ceremony in China's autonomous region of Inner Mongolia. Swastikas can be seen on the drum that is being used as well as on the ceremonial clothes used by the shaman (shoulder patches).